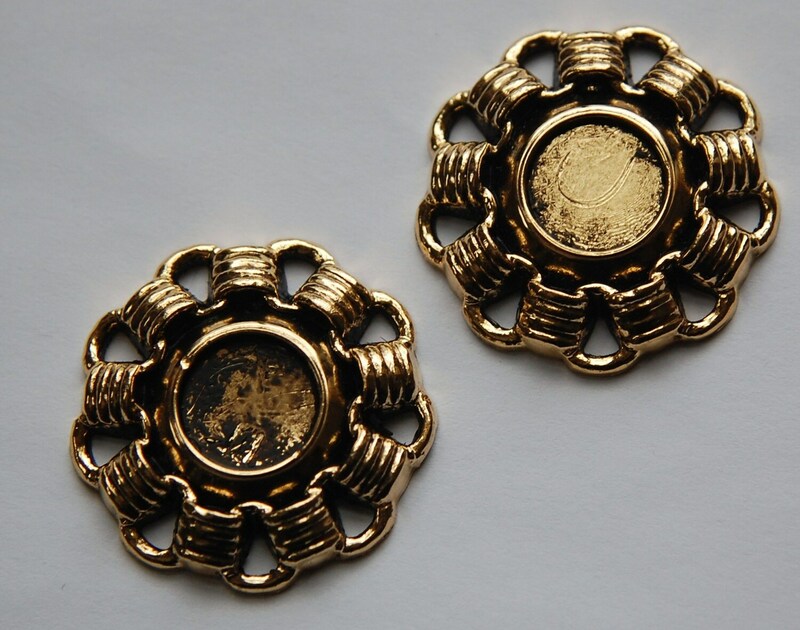 These are antiqued gold plastic settings that were made in Germany. They have a border that looks like linked loops. These loops form openings that could be used to attach jump rings. The center will hold a 12mm cabochon. The entire pieces measures 34mm across. You will receive 2 settings. The last item in my large-ish order--can't wait to use these in pendant necklaces!